Surgery is one of the most rapidly advancing medical specialties and most-used services in health care. 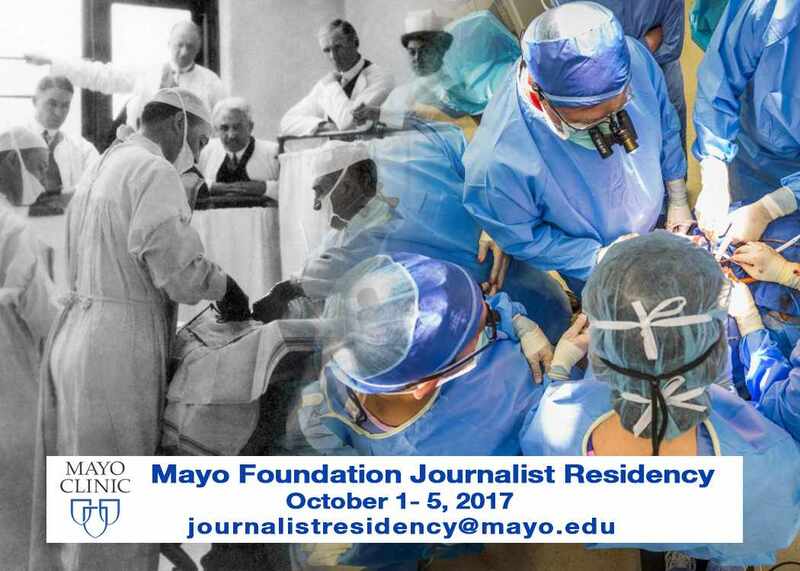 In this five-day fellowship program sponsored by the Mayo Foundation for Medical Education and Research, journalists will receive a behind-the-scenes, in-depth look at the latest developments in surgery. Topics will include cancer, cardiovascular and transplant surgery, neurosurgery, non-opioid innovations in pain control, new techniques to speed patient recovery, and how developing technologies such as 3-D printing, advanced imaging, telemedicine and implantable devices are changing who gets surgery, how it is performed and how patients are cared for after they leave the operating room. The program will feature Mayo Clinic and outside speakers. Journalists will see the surgical process from preop to recovery, including, for those comfortable with it, time in operating rooms. In addition to group activities, they can personalize part of the program. Program location: Mayo Clinic, Rochester, Minn. Ten health care journalists will be awarded Mayo Foundation fellowships. Full-time U.S. and international health care journalists from all media platforms – broadcast, print and online – may apply. The fellowships will cover travel, accommodations and most meals. News outlets and journalists who prefer to cover their costs may do so. The deadline for applications is 6 p.m. ET, August 14. Your name, employer or primary freelance clients, job title and how long you have been covering health care. Three to five paragraphs on why you would like to attend and what you are most interested in learning. Whether you have permission from your editor or clients to attend the program in its entirety. The Mayo Foundation for Medical Education and Research is a nonprofit organization committed to clinical practice, education and research, providing expert care to everyone who needs healing. Journalists with questions about the program should contact Karl Oestreich and Sharon Theimer in Mayo Clinic Media Relations at journalistresidency@mayo.edu or 507-284-5005. Program updates will be posted on the Mayo Clinic News Network.